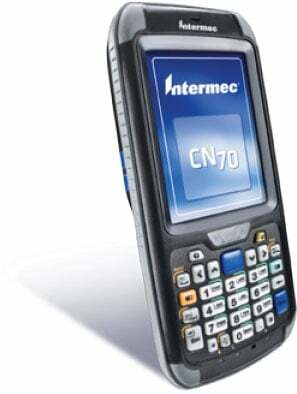 The Intermec CN70 is engineered to be at home in demanding environments, where its industry-leading performance, incredible durability and low power consumption can actually reduce overhead. Its superior scanning performance and improved ergonomics lead to increased efficiency, while its extensive communication ability meets the needs of field workers. The no-compromise design of the CN70 includes an all-light visible VGA display, high durability touch panel and indestructible keypad technology to ensure that they stay in workers' hands instead of the repair depot. The CN70 also features a 3.75G WWAN and first-in-market dual-band 802.11n WLAN radios that provide mobile workers with high-performance connectivity inside and outside the four walls. And by combining an ultra-efficient processing architecture with long-life battery technology and state-of-the-art battery health diagnostics, dead batteries and downtime will become a thing of the past. The Intermec CN70AN3KNF2W6100 is also known as Intermec Technologies	INT-CN70A91	.